BERLIN (Reuters) -- Volkswagen's top labor representative threatened to try to block further investments by the German carmaker in the U.S. South if its workers there are not unionized. Workers at VW's factory in Chattanooga last Friday voted against representation by the UAW, rejecting efforts by VW representatives to set up a German-style works council at the plant. German workers enjoy considerable influence over company decisions under the legally enshrined "co-determination" principle which is anathema to many politicians in the United States who see organized labor as a threat to profits and job growth. Chattanooga is VW's only U.S. factory and one of the company's few in the world without a works council. "I can imagine fairly well that another VW factory in the United States, provided that one more should still be set up there, does not necessarily have to be assigned to the South again," said Bernd Osterloh, head of VW's works council. "If co-determination isn't guaranteed in the first place, we as workers will hardly be able to vote in favor" of potentially building another plant in the U.S. South, Osterloh, who is also on VW's supervisory board, said. The 20-member panel -- evenly split between labor and management -- has to approve any decision on closing plants or building new ones. Osterloh's comments were published Wednesday in German newspaper the Sueddeutsche Zeitung. 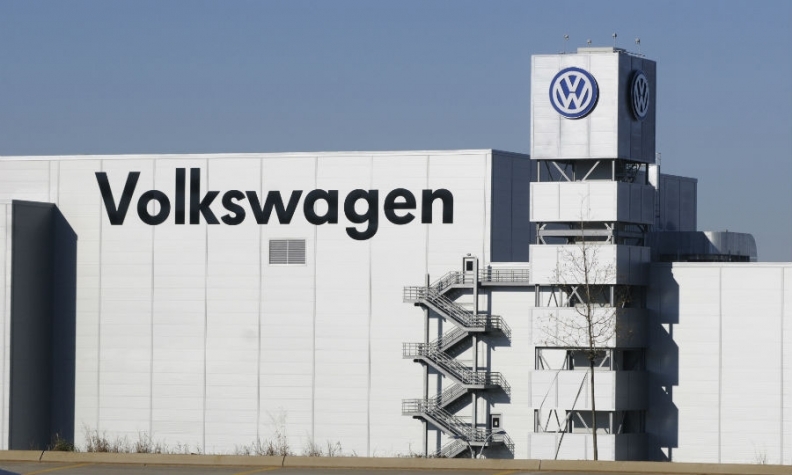 A spokesman at the Wolfsburg-based works council confirmed the remarks. "Outside conservatives created a massively anti-union sentiment," Osterloh said in a separate statement. "It's possible that one would come to the conclusion that this influence represents an 'unfair labor practice.' "
Republican U.S. Senator Bob Corker, a staunch opponent of unionization, said last Wednesday after the first day of voting that VW would award the factory another model if the UAW was rejected. The comments even prompted President Barack Obama to intervene, accusing Republicans of trying to block the Chattanooga work force's efforts. Undeterred by last Friday's vote, VW's works council has said it will press on with efforts to set up labor representation at Chattanooga which builds the Passat sedan.